Russia was placed in a remarkably easy World Cup group that also includes Uruguay, Egypt, and Saudi Arabia. People from around the game raised eyebrows at Russia's good fortune. In the World Cup, the host country is automatically placed in Pot 1 with the top seeds, so the system is actually designed to favor a team like Russia from the start. The draw for the 2018 World Cup has been completed, and one of the eight groups appears to be significantly easier than the others: Group A. Group A will feature Uruguay, Saudi Arabia, Egypt, and Russia, the host country. With an average FIFA World Ranking of 43.75, it's the lowest-ranked cohort of the tournament by a wide margin. Of course, some of this is by design. While Russia happens to be the lowest-ranked team in the entire field, their host status landed them a spot in Pot 1, ensuring that they would not have to play any of the world's top seven teams in the group stage. 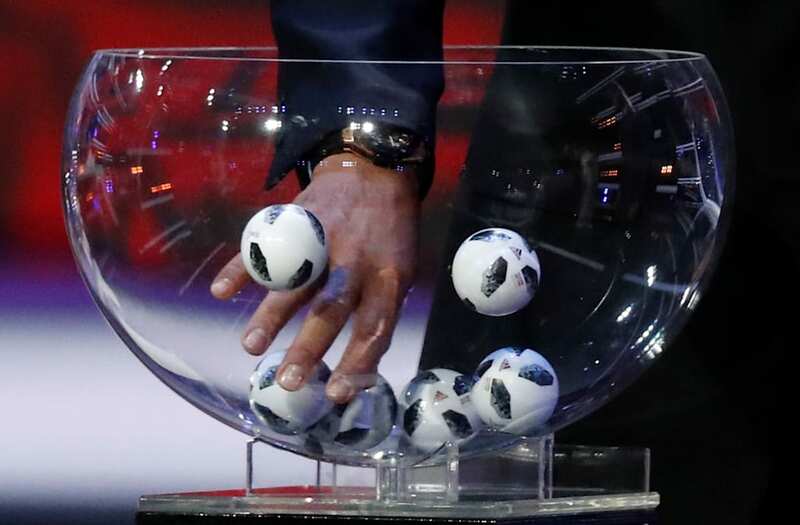 But they also got a favorable draw from the other pots — Uruguay was the second-lowest team in Pot 2, Egypt the third-lowest in Pot 3, and Saudi Arabia on the bottom in Pot 4. Russia and Saudi Arabia, the bottom two in the entire tournament, will play each other in the first match of the World Cup. It will be a strange way to set the tone. "The opening game is against Saudi Arabia for the Russians," said the ESPN host Dan Thomas. "If it was a proper team that could really thrash [Russia], they could just ruin the whole World Cup for them." Russia's good fortune was enough to raise eyebrows around the sport. The retired American soccer star and current Fox Sports analyst Landon Donovan was among those who expressed surprise, saying it is a group with "no clear favorite." "I'm trying to figure out how on Earth did Russia get such an easy [draw]? I just don't know how this could happen," he said sarcastically. "But I think Uruguay probably ends up topping the group. After that ... it's a crapshoot. Russia are ecstatic right now." Some fans took it a step beyond that, with a number of Twitter users insisting that the draw was fixed to benefit the host country. There's no evidence that Russia influenced the results in any way — and besides, their probability of drawing one of the three lowest-ranked teams from each pot was just over 5%, making it unlikely but far from impossible. It just goes to show that there's nothing like a little World Cup drama to bring out the sensational side in sports fans. The World Cup is set to begin on June 14, when Russia and Saudi Arabia will get things started at Luzhniki Stadium in Moscow.